Fel Reaver is a 5 Mana Cost Epic Neutral Minion Mech card from the Goblins vs. Gnomes set! 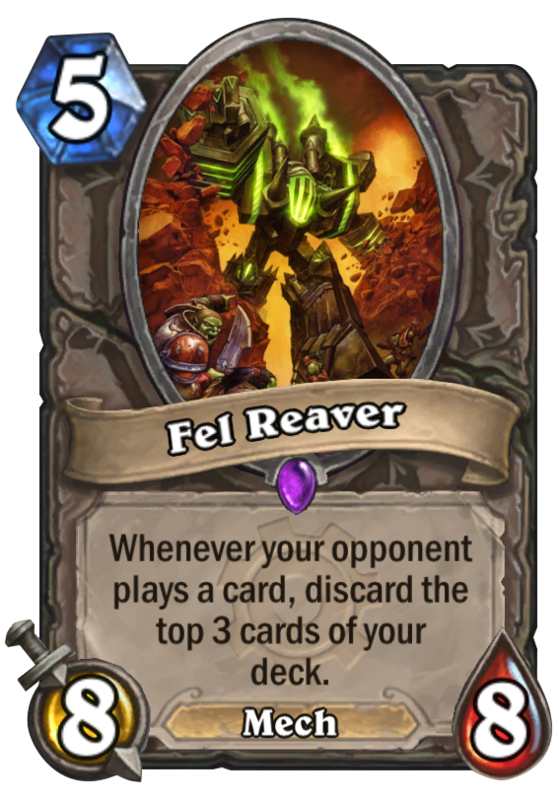 Whenever your opponent plays a card, discard the top 3 cards of your deck. So reaver. Much fel. Wow. Rating: 2.6/5. From 85 votes.